Pope Benedict XVI today announced his resignation as 266th Pope. What may be surprising to many is that history is not without its fair-share of popes who resigned. This list looks at ten of them. They all resigned for different reasons (some good—some bad) but they serve to show that there is, indeed, a precent for this surprising act, and—most surprisingly—a number of these resigning popes ended up becoming saints. Pope Gregory XII reigned between 1406 and 1415. During his papacy there were two antipopes. At the Council of Constance, in order to heal the schism in the Church, Pope Gregory XII officially resigned along with antipope Benedict XIII. The remaining antipope—John XXIII—was deposed. All three were replaced by Pope Martin V two years later. Interestingly, Gregory XII was conditionally elected. The terms of his election (by a mere 15 cardinals) was such that he would be compelled to resign if Benedict XIII did. Pope St. Celestine V was the last Pope not to be elected in a conclave (the gathering of Cardinals together for the purpose of papal elections). He was Pope from August to December 1294. As a Benedictine monk—from the age of seventeen—he lived as a hermit and was renowned for his spirituality. Because the Cardinals could not decide on the right man to reign after Celestine’s predecessor died, they agreed to elect someone who was a mere priest because of his well-known holiness. Reluctantly he agreed and he summoned the cardinals to him (rather than going to them in Rome). When they gathered together Celestine V sat on a donkey in his humble dress and was led to Rome. The ropes guiding his donkey were held by two Monarchs. Ultimately he resigned because he felt he was unsuited to the role of the papacy. He returned to his humble beginnings and died in 1295. He was canonized a saint in 1313 and his remains are still venerated to this day. Pope Sylvester III had the shortest reign of all popes in this list. He was consecrated in 1045 and his pontificate lasted only 22 days before he was deposed and replaced by his predecessor Benedict IX. His election occurred after Pope Benedict IX was driven from Rome under accusations of adultery and murder. Sylvester was excommunicated by Benedict whilst he was Pope and ultimately Benedict returned to the Papacy in Rome and deposed Sylvester. Pope Sylvester III died in exile years later. Pope Clement II was Pope between 1046 and 1047. His pontificate was short but he managed to reform the Vatican (by banning simony) and canonizing at least one saint. While he was traveling he fell ill and died. Rumors abounded that he had been poisoned. Curiously, in the mid-20th century, a toxicology examination was performed on his remains and it was determined that he died due to poisoning by lead. Whether it was murder or an accident (lead-sugar being used as medicine in those times) is unknown. He was succeeded by Pope Benedict IX. Pope Gregory VI was Pope from May to December 1046. At the time of his election Pope Benedict IX was reigning but he did not wish to be Pope and wanted to get married. He offered to sell the papacy to his Godfather (Gregory VI) and his offer was accepted. Selling the papacy is never a good idea and Gregory VI’s reign was not a happy one. He was forced to abdicate and died in exile in 1048. Pope St. Martin I was the last Pope to die a martyr. He was Pope from 649 to 653. His election was not approved by the Byzantine Emperor who had Pope St. Martin kidnapped, taken to Constantinople, deposed, condemned and exiled. Although his papacy was short, Martin I summoned a council which condemned certain acts which had the support of Emperor Constans II. It was this action which led Constans to demand his arrest. He died two years after his exile in Southern Ukraine of ill-treatment and neglect. His feast day is the 13th of April. Pope Benedict IX was one of the youngest popes and the only one to have sold the papacy. He is also the only pope to have reigned three separate times. His first term as Pope was from 1032 to 1045 when he was deposed by Pope Sylvester III. Less than a month later he was reinstated as pope only to resign three weeks later—selling the Papacy to his Godfather Gregory VI. In 1047 he installed himself as pope for his third term but less than a year later he was forced to retire to an abbey, where he repented of his sins, officially resigned as pope and spent the rest of his life doing penance. His papacy was—and is—one of the most shameful events in the history of the Church. Pope St Silverius was the first Pope to be deposed by force. He reigned from 536 to 537. In March 537 Byzantine Empress Theodora had him captured and exiled from Rome to to the island of Palmaria where he remained a prisoner until his death of starvation on November 11, 537. He was declared a saint by popular acclamation (as opposed to canonization) and is now the Patron Saint of Ponza, Italy. Pope St. Pontian was the eighteenth Pope and he reigned from 230 to 235. He is best known as the first Pope to abdicate. He abdicated because the Roman Emperor (Maximinus Thrax) reversed the Roman policy on tolerance to Christians and had him arrested. Pontian’s only option was to abdicate so another Pope—who was not imprisoned—could take the helm. 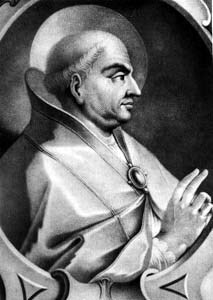 Pope St. Pontian was martyred shortly after his abdication. His pontificate is notable not just for his abdication, but the fact that he condemned Origen, a highly-regarded though heretical theologian. Pope Benedict XVI is the first pope to resign in 600 years and he is the oldest of the ten. He is the 266th officially recognized pope—in other words, he is not regarded as an antipope. Pope Benedict XVI was elected in April 2005 after the death of his predecessor Pope John Paul II. On February 11, 2013, he announced that he would resign the papacy at the end of the month. When he was elected in 2005 he had to manage a church rocked with scandals that had built up during the papacy of his predessor. Scandals such as the child abuse cases which had gone under under the slowly fading eye of John Paul II but started in the watch of his predecessor Pope Paul VI (Pope John Paul I didn’t reign for long enough to be held to account.) The world now watches the Vatican, home of the papacy since the first pope Saint Peter reigned, to see who will be elected next. Curiously, in the Prophesy of the Popes by St Malachi, Pope Benedict XVI is the second to last Pope. His successor is listed as Peter the Roman—the last Pope. This list was inspired—and in-part written—by AdiBan.